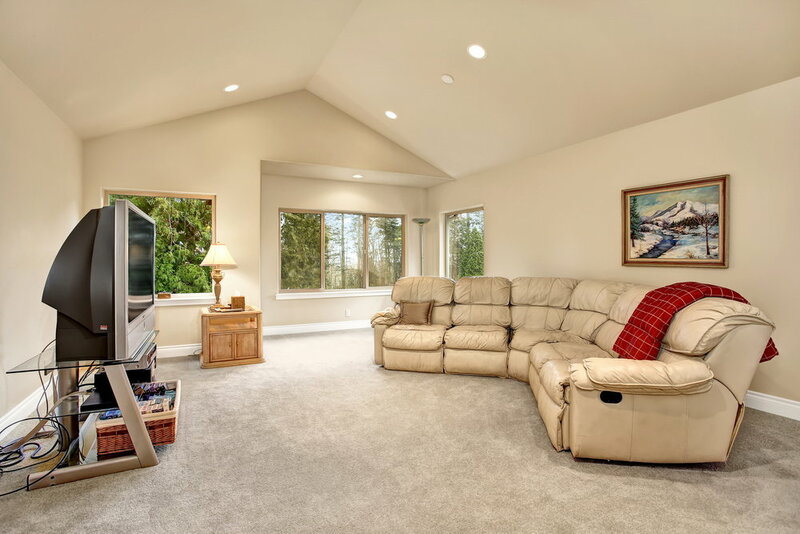 Step into this grand, Eides built 4 bedroom, 4,230 sq ft home situated on the third hole of the coveted Semiahmoo golf course. Soaring ceilings are grounded by a stone two-sided fireplace. One side a chefs kitchen, and the other a vaulted living room with plenty of natural light. Master suite on main w/spa like bath (2nd master bed/bath on 2nd level). Large windows looking onto the fairway, skylights, and mezzanine create an open flow. Finished off with patio and pristine, manicured landscape.